It's still winter... I love winter photos, but I'm in a rut. This image is from Wallowa Lake, approximately 54 miles from our home; it was a day of low fog over the water. 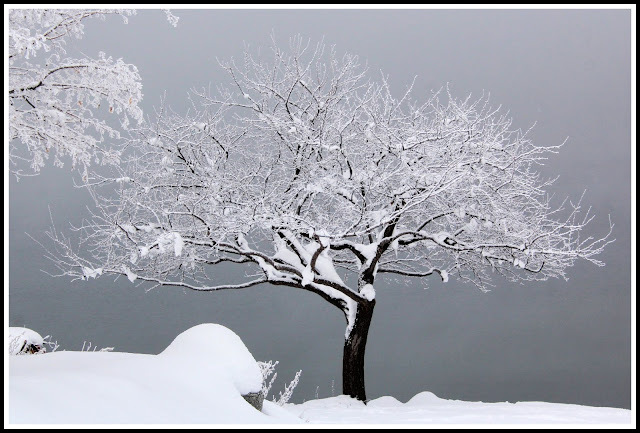 In fact, the lake wasn't even visible, but it made a perfect background for the snowy trees bordering the "foot" of the lake.